Raffaella Sarti is Associate Professor of Early Modern History and Gender History at the University of Urbino, Italy, and is a member of the editorial collective of Gender & History. Her studies address family and material culture, women’s work, domestic service, Mediterranean slavery, masculinity, and graffiti, among other topics. She is the author of numerous publications in nine languages. Anna Bellavitis is Professor of Early Modern History, Director of the Groupe de Recherche d’Histoire at Université de Rouen-Normandie, and senior member of the Institut Universitaire de France. She has led numerous international research projects on family history, gender history, and labor history in Early Modern Europe in collaboration with European universities and institutions. Manuela Martini is Professor of Modern History at the Université Lumière Lyon 2. She has directed international research projects on labor history, family and gender history, and labor migration. A member of Gender & History’s editorial collective, she has published extensively in multiple languages and has authored or edited sixteen books and special journal issues. 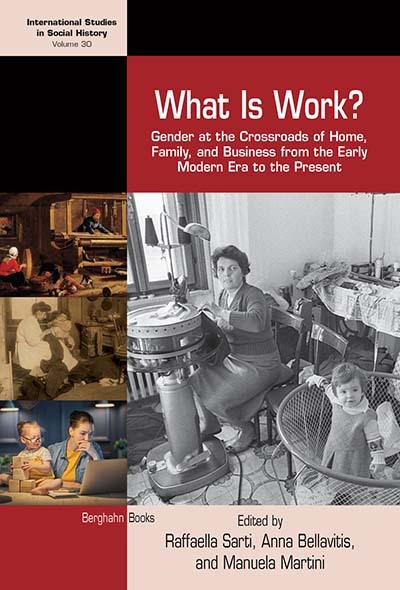 Conclusion: Can We Construct a Holistic Approach to Women’s Labor History over the Longue Durée?